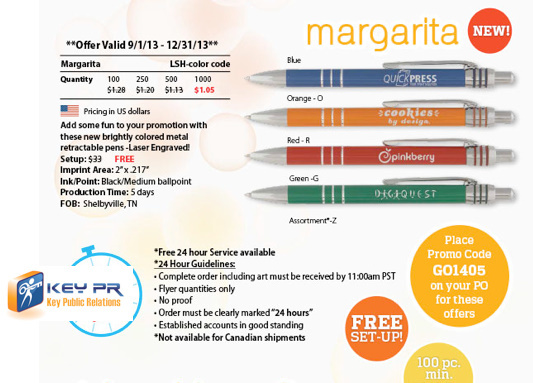 What a great time to stock up on LASER ENGRAVED metal promotional pens! If you order before the end of 2013, you'll get FREE SHIPPING and NO SETUP CHARGE. Why is this so great? Laser engraving setups are usually steep, and these pens are awesome. Not to mention, you get the 1k price when you only have to buy 100 minimum, but like I said, they rarely waive engraving setups so I'd stock up on these.